This month we are both excited and privileged to welcome one of the UK's leading music producers to our roster. Andy Whitmore is a UK based record producer and session keyboardist, who has produced 14 top ten UK hits to date. 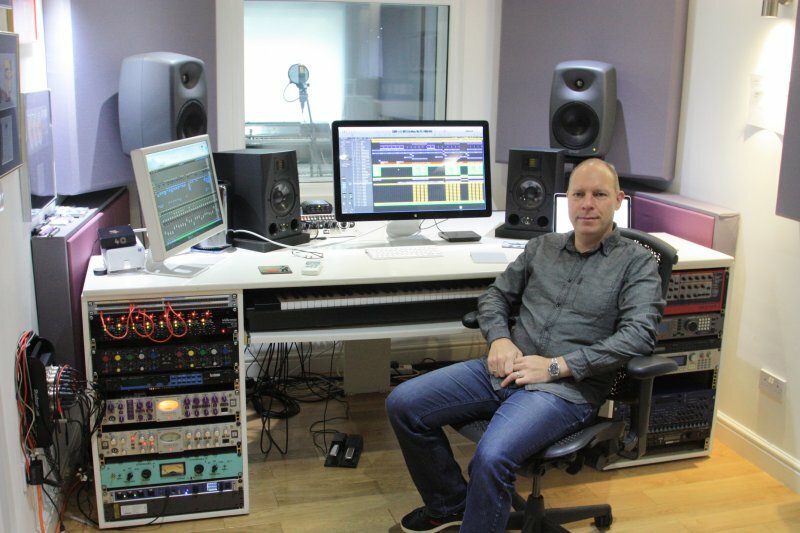 During the 90's Andy was one of the hottest producers in the UK, working on hits with countless chart topping artists including Eternal, Peter Andre, Lemar, Atomic Kitten and more. He has also played as a session keyboardist for stars such as Elton John, Terence Trent D'arby and Boy George. Andy now owns and operates one of the best recording facilities in West London, working with many upcoming artists as well as signed acts. If you're looking for on site recording as opposed to remote work then visit his studio website and tell him Kollab sent you! Andy is offering his services remotely exclusively through Kollab, as we have a reputation for providing top level industry talent for people who are serious about making their music a success. If you aren't local to Andy, or perhaps have a tighter budget, then remote recording is the perfect solution. Making the decision to work with a producer such as Andy is a solid step towards producing a radio hit. He's done it for so many artists over the years, and you could be next! To hire a professional producer at Andy's level and gain full use of his recording facility and engineers will obviously cost more than freelance producers. We offer services for all budgets, and Andy's services should only be considered if you are 100% serious and committed to your music. If you're just looking to polish up your track with a tasty mix and master and upload to Soundcloud, a producer like Andy is not going to be financially sensible. In that case, contact us and we can show you other industry pros who can work with smaller budgets. Andy is a world class producer at the very top of his game, and can bring years of studio experience to your music. In the digital age, and with many producers for hire these days being quite young, it is easy to think that having a macbook and mastering a few Logic tutorials makes a professional producer. Whilst there is nothing wrong with digital production (or being young! ), there is simply no substitute for working with an industry pro has has been around analog equipment in some of London's most prestigious recording studios. Whatever your musical goals, Kollab are here to help with any project no matter how big or small the budget. It is ultimately all about the music, and no matter what the project is the one constant we always guarantee is quality recordings you will be proud of. Do you want a music career or an expensive hobby?